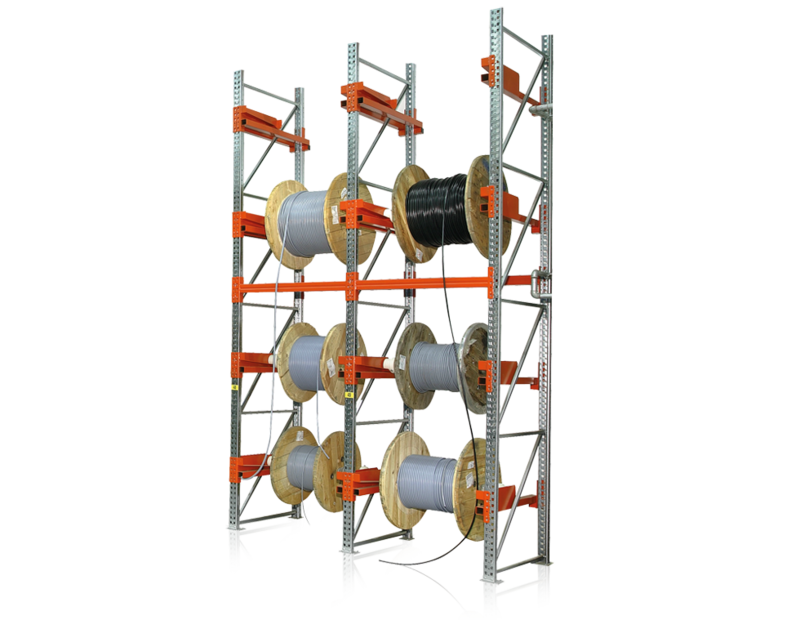 META cable reel racks with A-frames are particularly suitable for clearly arranged storage and attractive presentation at electrical goods wholesalers. These bolted racks can be adapted flexibly to the widest variety of different requirements. Add-ons and extensions can be added easily at a later time whenever required. Call our sales office now on 0208 617 8610 or email us your enquiry from our contact page.